The Parkinson’s Foundation encourages you to join and celebrate the past success of the community this spring. This is the perfect opportunity to get your team started or learn more about the foundation. 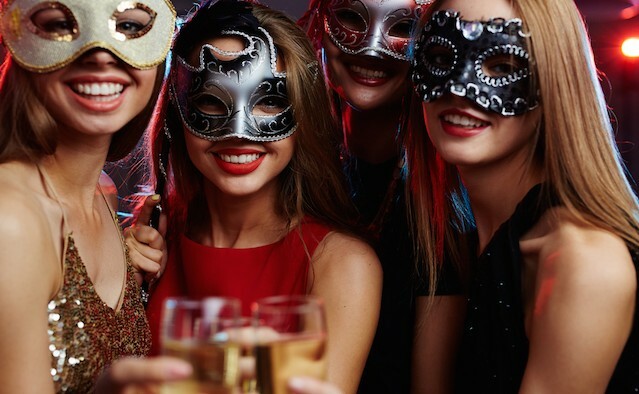 Team Fox Young Professionals are thrilled to invite you to the fourth annual Foxy Masquerade Ball, for a night of dancing, raffles and silent auctions. Held at the Prince George Ballroom, tickets are priced between US$125 and US$175 and include drinks and appetisers. Run for Parkinson’s this month with Parkinson’s UK’s annual Paris Half Marathon. The route takes runners across the beautiful city of Paris, along the Bois de Vincennes and the city’s historic streets. Join the Parkinson’s Society in British Columbia for an afternoon of education at the Italian Cultural Centre. Movement disorder specialist Dr Jonathan Squires will provide an overview on treatment options and tips for medication. Dr Colum MacKinnon, Maria Walde-Douglas and Kate Stellmach are giving an educational speech on the benefits of exercise, mind and body connections and key information to prepare for the future of Parkinson’s. Get ready for yet another great show hosted by Mick Ferry in Manchester. The event starts at 8pm with headliners Kevin Bridges and Paul Sinha. Join The Cure Parkinson’s Trust to cheer on sporting legends such as Jason Leonard, Mike Tindall and Shane Byrne at the Rugby Legends Charity Match. Tickets range from £9 to £25. Join the Team Fox runners for a half marathon across New York city’s most iconic course. Starting at Brooklyn and finishing up in Central Park, this is a fundraising opportunity like no other. Speakers from the UMN Udall Center, local fitness partners and the Parkinson’s Foundation are coming together to discuss the PF 101 guide for newly diagnosed Parkinson’s patients and their care partners at the Dakota Medical Foundation. The Parkinson’s Society British Columbia is hosting an afternoon of immersive conferences and interactive opportunities for people with Parkinson’s to learn from leading experts.